How often do you hear the words “healthy”, “happy” and “cancer” mentioned in the same sentence? That is precisely what gives 100 Perks of Having Cancer (Plus 100 Health Tips for Surviving It) its unique character. Its authors not only “talk the talk” of living a healthy lifestyle with a positive attitude on the cancer journey, they also continue to “walk the walk”. Florence’s perks, which are a combination of inspirational and humorous anecdotes, have made her audiences laugh and cry. 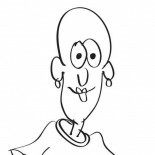 Susan’s tips are sought after because of their educational content with a witty twist. Together they provide a valuable resource which will inspire and motivate their readers, while keeping them smiling. Having trouble streaming? Click here for the YouTube video. Why two authors? Six months after being diagnosed with stage 3 breast cancer, Florence Strang found herself faced with a life altering choice. With just over a 50% prognosis of survival, she realized that she had a difficult journey ahead. She could choose to face this journey by focusing on the harsh, ugly realities of cancer, or she could choose to confront it with a positive attitude. As a Psychologist, she was acutely aware of the mind-body connection and the health promoting benefits of a positive attitude. Although under attack from a difficult chemotherapy treatment, Florence convinced herself that cancer was not that bad. In fact, it even had its perks. She then issued herself a challenge to find 100 perks of having cancer, and to honor this commitment, she decided to blog her efforts (www.perksofcancer.com). Little did she know at that time the thousands of people her blog would help in the months that followed. While Florence was well educated on the psychological aspects of cancer, she found herself overwhelmed by the amount of information out there regarding the health aspects of it. She soon discovered fellow stage 3 breast cancer survivor and Registered Nurse, Susan Gonzalez, who truly lived up to her blog persona of “The Savvy Sister”. Susan seemed to know all the latest do’s and don’ts regarding cancer, and could assimilate and summarize large amounts of information into articles that were not only immensely educational, but also entertaining. While Florence found herself tuning in to Susan’s blog for healthy living tips on exercise, nutrition, medication and supplements, Susan would visit Florence’s blog for its humour and inspiration. 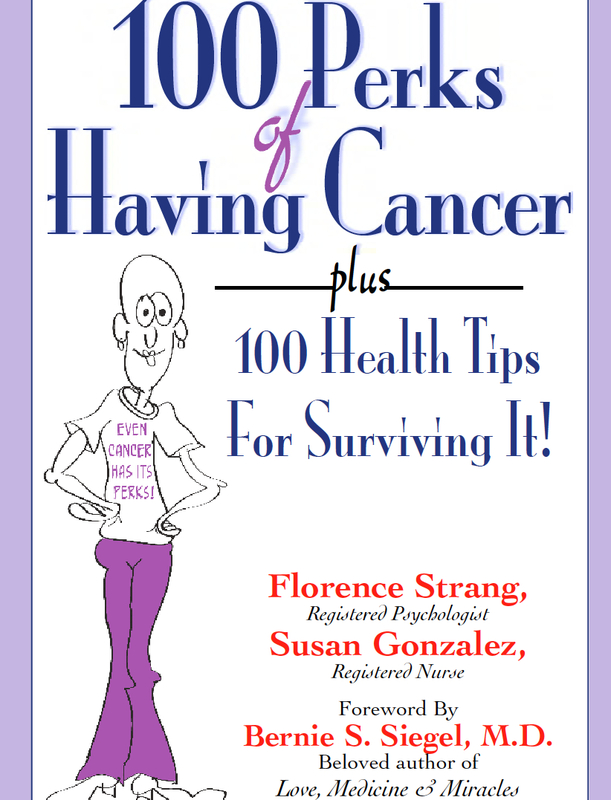 As Florence neared the end of her perks challenge, she invited Susan to join her in writing a book which would address the needs of body, mind and spirit. Together they share a vision of promoting the message that cancer does not have to be viewed as a death sentence. Whatever the diagnosis or prognosis, it is possible to live a happy and healthy lifestyle following a cancer diagnosis. 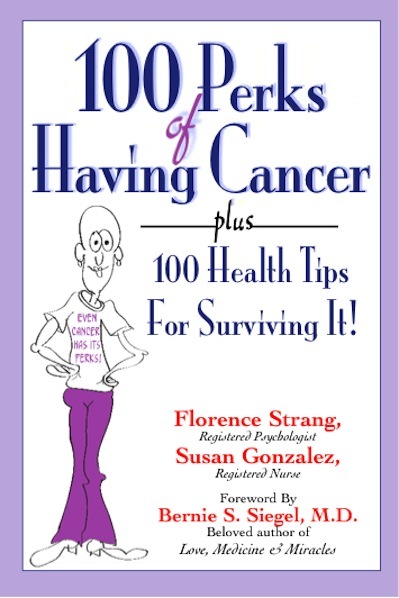 Whether you are a cancer warrior who is actively battling the disease, a cancer survivor, or a cancer avoider, this book has something for you!